In Salt Lake City, USA 2002, an Australian man Steven Bradbury won the first winter Olympic gold medal for Australia. At the start of the short track 1000 metre skating race, he looked like the most improbable winner; he was the oldest bloke, he scrapped into the finals only due the unfortunate crashes of his fellow competitors. Near the end of the final race, he was trailing rather badly, 15 metres behind the next skater. As the final four jousted desperately for the golden spot at the last turn of the lap, they tumble into a big pile up and Steven Bradbury coasted through the last few metres to become the champion of the race. It was not the most graceful triumph in the history of sport, but a win is a win and Australia rejoices nonetheless. Patrick Walsh did not make weight for his fight in UFC fight night 60 and his opponent Australian Daniel Kelly was not happy. Not only had it meant that he will be facing an opponent 6 pounds heavier it also meant that his strongest weapon as grappler will be neutralised. Walsh was not a natural middleweight. He had his first three professional fights as a heavyweight followed by the next three as a light heavyweight. This was Walsh’s first professional fight as a middle weight, thus Kelly would have anticipated some challenges with their difference in size. 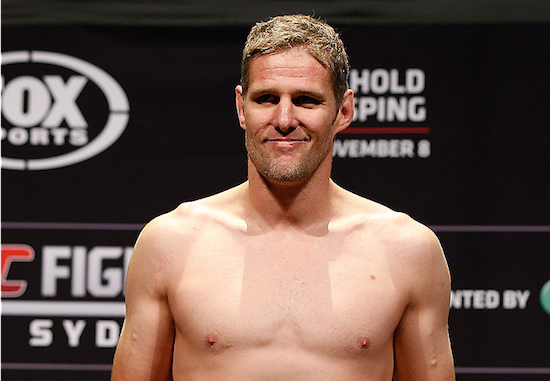 As Dan Kelly walked towards the Octagon to face Walsh, he almost appeared worried. Dan Kelly and I had been acquainted for many years now. I have heard numerous stories about this man who had defied great odds against him in fight and in life and he always come through all kinds of adversity with a big boyish grin on his face. In 2013 I watched him face a very intimidating looking Slovenian in an MMA fight and Dan walked up to the ring looking focused and unfazed. Perhaps a great deal was riding on the UFC Fight Night with Walsh. Dan is 37 going to 38 and any loss at this point could mean disaster with his UFC career that will be difficult to repair. He had an undefeated record and is about to face an opponent much younger and bigger than he is. So when Dan Kelly looked (almost) worried, I cannot help but feel worried too. The three rounds between Kelly and Walsh was described by many as sloppy and the audience reflected their opinion with their constant booing due the lack of action from the two men. Apart from a desperate take down by Walsh at the last moments of the first round that amounted to little effect, the rest of the match was conducted with both men on both their feet. 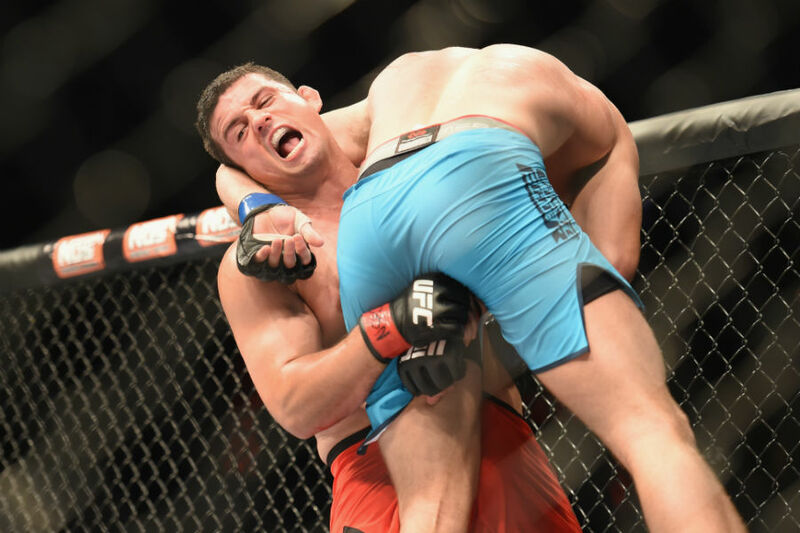 Not long after the match was concluded with a win to Dan Kelly by unanimous decision, practically all MMA websites published their dissatisfaction with the entertainment level of the bout. In some ways it was practically a boxing match in an Octagon with smaller gloves, longer trunks decorated with an occasional touch of MMA. Unfortunately, neither man is known for their striking skills thus their match provided far less aesthetic value than that of a traditional boxing match. In the local pub of West Melbourne where Dan Kelly’s extended family of his fellow students and peer fighters from his gym gathers to cheer for him, the atmosphere was vastly different from that of Broomfield Colorado. Each time Kelly’s gloves touches the face of Walsh, the entire pub cheers. When the Master of Ceremony was reading out the scores, it was unclear to many as to who will emerge winner. Dan looked kind of worried again and I started chewing on my nails. Finally, Daniel Kelly was declared the winner and all around me exploded in joy. It is nowhere close to the most elegant victory in the history of combat sport, but a win is win and today, Australia is happy with that.